“Do hair extensions damage hair” is one of the most asked questions at our consultations. The truth is, hair extensions don’t damage natural hair – but bad applications and poor aftercare do. Properly applied hair extensions won’t damage your natural hair if you’re given and follow good aftercare instructions. 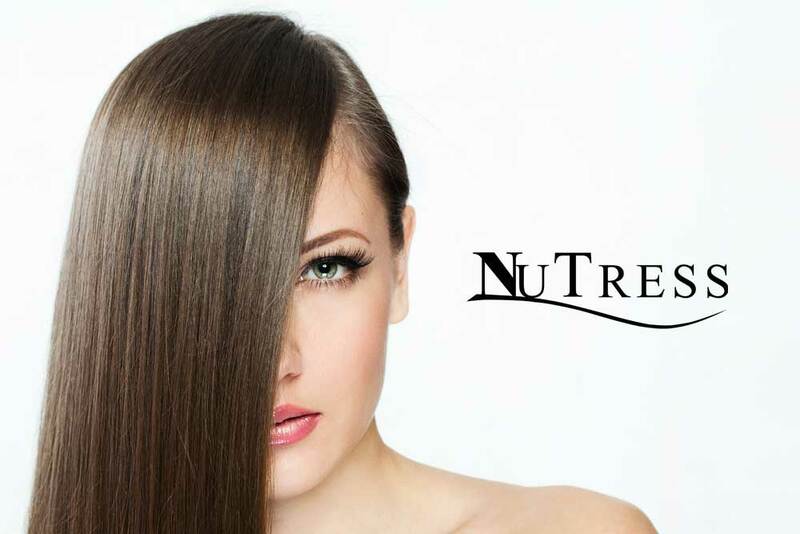 At NuTress, we’ve put a lot of time into our aftercare advice, not because our hair extensions are more damaging or difficult to look after than other types, but because we want to look after your natural hair. Years of experience and lots of research have helped us work out how to avoid the damage caused by hair extensions. This client had no idea her hair was severely damaged until she came to us for a consultation. Six months into wearing our hair extensions, her hair had completely recovered. The second photograph was taken immediately after a set of our hair extensions were removed. If hair extensions aren’t applied and cared for properly, they can do horrible damage to your natural hair and can even cause permanent hair loss. We think extensionists have a duty of care to look after your natural hair, not just your hair extensions. It’s outrageous but there are irresponsible salons who build up a loyal clientele by damaged their client’s hair so badly that they need hair extensions because their hair looks so awful without them! 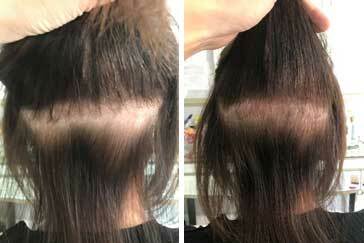 This client had been visiting a specialist salon but had no idea her own hair was being damaged by hair extensions. Her hair was in various stages of loss and regrowth. When her last set of extensions pulled all her hair out, her extensionist would just move the new set to a recovering area. This can lead to permanent hair loss. How can you be sure your hair isn’t being damaged by hair extensions? Unfortunately, your extensionists qualifications or visiting a specialist salon won’t guarantee a safe set of hair extensions. Your extensionist needs to genuinely care about your natural hair, a certificate or even years of experience won’t guarantee this. Your extensionist should give you step by step instructions on how to take care of your hair extensions AND your natural hair. If they are laid back and vague when it comes to aftercare, they aren’t looking out for you. Take it from us, ALL hair extensions damage hair if they are not cared for correctly. Please feel free to contact the salon on 01612582015 if you have any concerns or would like to come in for a chat to discuss your needs.